A career in STEM is a way to truly change the world you live in. Our specialised courses in science, technology, engineering and maths give you hands-on learning in a practical field, with amazing real-world applications and outcomes. You've got ideas that can help shape the world? Our courses will give you the tools, equipment and technology to bring your concepts to life. We're a university of technology, future-focused and always exploring emerging disciplines and equipment. We'll teach you to push the boundaries of scientific development using cutting-edge facilities housed in our specialist precincts, labs and workspaces. Throughout your course you’ll get out in the field and learn how things work, right from your first semester. Join exciting projects and competitions with your fellow students to test your skills, and complete design projects and lab work with a real-world focus. Many of our courses include work placement opportunities, which will give you invaluable first-hand industry experience. You'll see what it's like to work in STEM out in the real world, including worksite visits, internships and placements. We also offer specialisations in project management, which will give you alternative pathways to use your STEM skills out in the real world. Our lecturers, teachers and researchers are at the forefront of their fields, and have had their expertise recognised with numerous awards and achievements. They've got years of experience both in the lab and in industry, so you’ll benefit from their first-hand know-how. You'll also learn from prestigious guest lecturers who will share their experience and specialised knowledge. You'll graduate from most of our courses fully accredited and ready to work anywhere in the world. You'll have the theoretical foundations, practical skills and industry networks you need to take your first steps into you career in STEM. We're committed to gender equity and equal representation in our students, graduates and staff. We run programs for women in STEM to build important networks, collaborate and build relationships with other women, and collaborate on world-leading programs. If you’re planning a career in research and innovation, we have pathways from honours degrees through to PhDs where you can explore your interests, work on a dedicated project, and make a real difference at the leading edge in your field. "My double degree allowed me to study in areas I love while still having a life outside of uni. It even took me to Berlin for 6 months to study alongside some of the best machine learning and cognitive algorithm experts in the world." Staying ahead of the curve depends on knowledge, experience and being future-focused. Our postgraduate courses are intertwined with current industry practices and the latest research outcomes. We're committed to delivering coursework programs and research outcomes that contribute to the National Government's push for greater depth STEM. QUT students learn from the best. Our teaching staff and research supervisors offer an intellectual community that supports the generation of new knowledge and ideas. Working closely with research facilities enables us to deliver programs that incorporate current research outcomes. We provide extensive support services to help you succeed in your studies. Our staff can help you devise a course of study that meets your professional development goals and fits alongside your work and family commitments. Our key research capabilities in big data, biomedical engineering, materials science and plant biotechnology are developing high-impact solutions to transform society, as well as how industry and government practise. QUT's Science and Engineering Faculty hosts, or is a partner in, a number of leading research institutes, centres, and facilities that bring together experts from diverse fields of STEM. 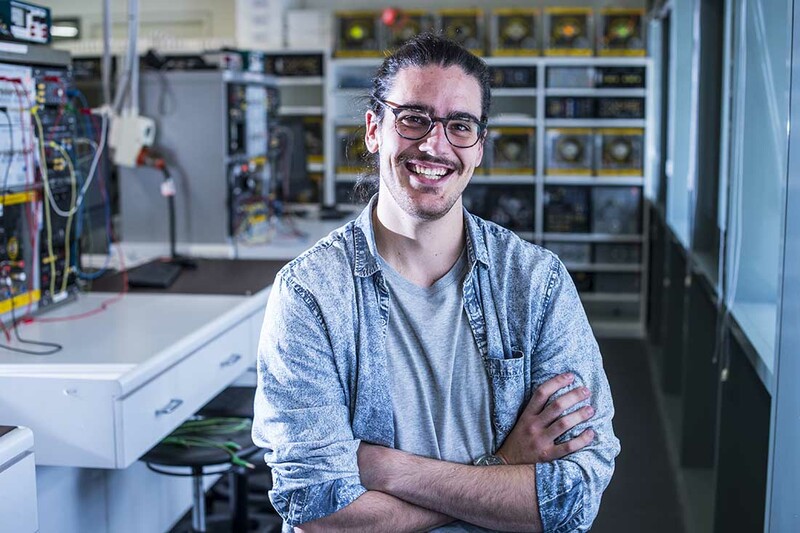 "I chose QUT because working in the city it suited me to go to classes after work. The guest lecturers from industry offered real-world insights that I found valuable. Studying at QUT has helped me to move on to managing more complex and more interesting projects. 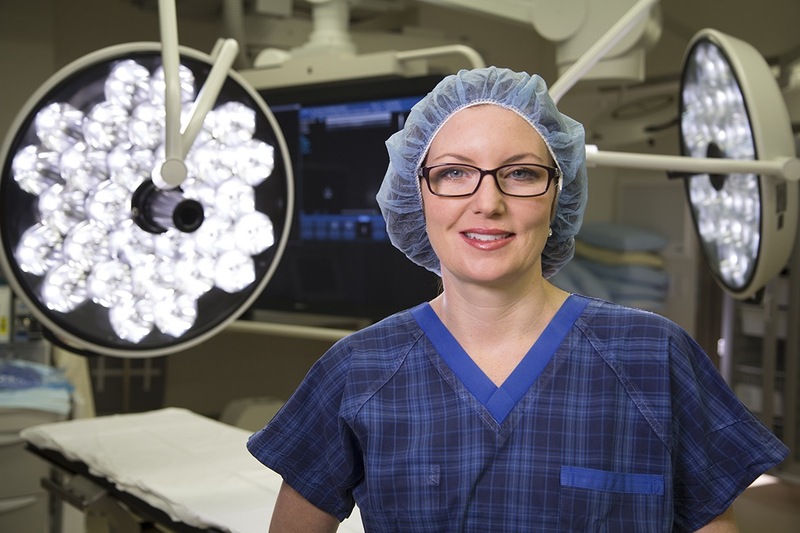 One of my career highlights has been working on a hybrid operating theatre at St Andrews Hospital in Brisbane." If you're passionate about computers and technology, you can harness that passion and turn it into a stellar future in information technology. Focus on what makes technology work, and explore how to design and develop new systems and software. You'll work with and learn from information technology professionals who will help you develop creative software solutions for complex problems. Not sure what to study in information technology? The Bachelor of Information Technology is designed so you can explore each of the core majors in your first year. This will help you make an informed decision about which major to study from your second year. If you already know what you want to study, you can explore our majors. Build an IT qualification to suit your aspirations. We have strong links with IT vendors giving opportunities for internships in Australia and overseas. Gain a background in electrical engineering with an embedded systems specialisation, and software design and implementation skills. Learn both the creative and technical aspects of game development. You’ll study current and emerging animation techniques and develop your skills with practice-based projects.